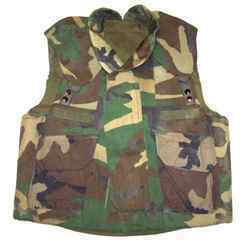 Our product range includes a wide range of bullet proof jackets. We manufacture and supply high quality life saving bullet proof jackets that have been extensive used by security forces and army in their operations including battles and encounters. The jackets fabricated by us provide full protection to chest, arms, shoulders and rear part of the upper waist with full efficiency. These are capable of facing bullets fired from high velocity guns. Looking for Safety Jackets ?